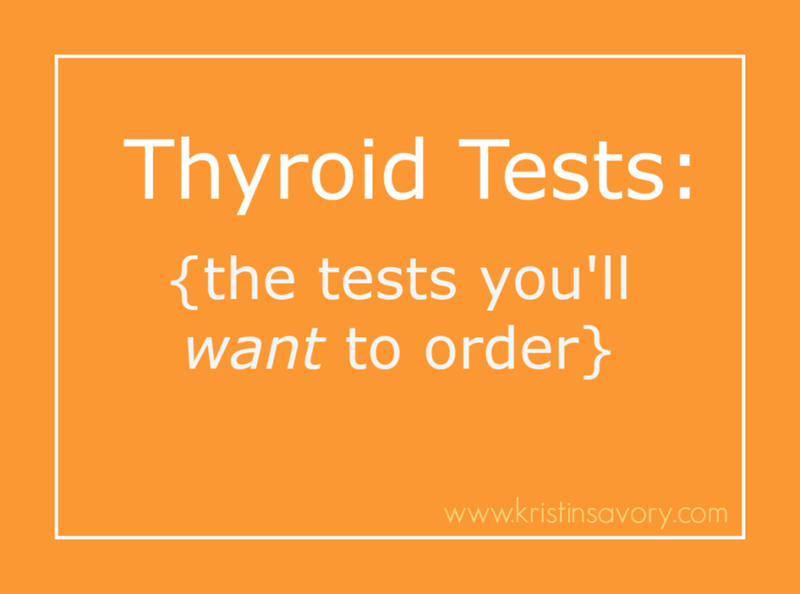 Thyroid Tests: What Tests Should I Get? This happened to me this past week. Now, I don’t want to point fingers or spread bad rumors, but this drives-me-nuts is concerning. Too often in the Western model of medicine we rely solely on diagnostic tests without really understanding, knowing, or feeling what is going on for the client. [And, too often in the alternative medicine model, we rely on intuition without really knowing what ‘s going on in a person’s chemistry…..]. To be successful, we need to account for all: diagnostic tests, palpation, and intuition. In my last post, I shared with you some “blood test pitfalls” when it comes to diagnosing hypothyroid. Blood tests are like snap shots. They give a distinct picture of what is happening in the body’s blood chemistry at a specific time. Blood tests do not account for fluctuations that naturally occur throughout the day, week or month. A TSH test (a common general screening test for hypothyroid), can catch some issues with the thyroid gland, but it will not catch every hypothyroid out there. 1. Blood Tests: Get the blood tests! [But not just-any-old-blood test.] Most docs will order a TSH test if you ask them. But, keep in mind, TSH tests are not going to pick up every low thyroid case. Get the blood tests, but ask for a full thyroid panel. You’re going to want to numbers for your TSH, T3 and T4, Thyroid Antibodies, as well as Reverse T3. Lots of docs have a hard time jumping to the full thyroid panel because insurance companies may/may not cover the costs. If you’re having a hard time getting these tests through your doctor, then you can order tests directly through sites like this. 2. Consider Tissue Analysis: You might need to special order this (through an alternative practitioner), but there are tissue analysis tests (ie. hair and nail) out there that can be helpful in determining whether or not your thyroid is functioning up to par. Because blood is a high priority system, your body will try to protect it. Your hair is a different story. Your body can do pretty darn well without protecting your hair (that’s one of the reason’s why we lose our hair with hypothyroid and other hormonal issues). Tissue analysis tests aren’t necessarily perfect, but they can be helpful in putting together a picture in conjunction with blood tests and at-home tests. 3. Keep a Thyroid Journal: Way too often in the Western model, we have to be our own health advocates. Doctors are so rushed in appointments that we need to clearly lay out the picture for them. Keeping a thyroid journal can be just the overview that a doctor needs so that you can get the appropriate testing. I like to keep my Thyroid Journal in an excel spreadsheet. I record the date, my symptoms, and my cycle (this piece is very important) so that everything is easy to read and overlaps with natural hormonal changes throughout the month. Often, I’ll go back and color in or highlight transitions times like ovulation and the onset of my cycle. It’s so important for your practitioner to be able to see the rhythm that’s going on in your body. 4. Feel Your Thyroid: Make sure that you are touching your own thyroid! Massage your thyroid, get to know your thyroid- you must be able to describe how your thyroid feels so that you can get your doc or endocrinologist to understand your thyroid. It’s very challenging to make an accurate diagnosis by relying solely on tests. Make a note in your Thyroid Journal about any changes that you might feel throughout the month. Remember, your body is not static. So….. any swelling or irregularities that you feel today, will likely shift and change throughout the month. And, if something persists, you’ll know. Getting the appropriate tests is half the battle in getting the right diagnosis. These 4 steps will get you going in the best direction. If you’re still finding yourself confused, scattered or not-sure-what-to-do; then consider scheduling a free 15-minute consult with me. I'm here to help. Here’s to knowing your thyroid, understanding your hormones, and living your best!